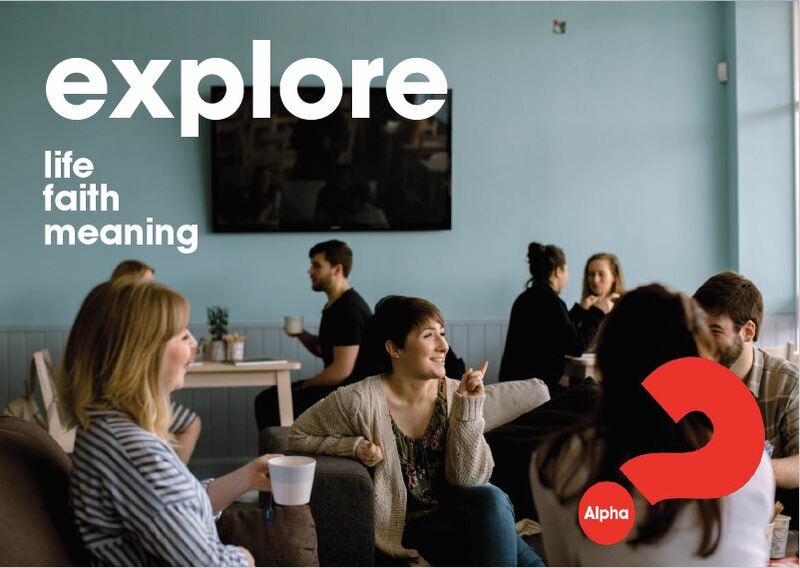 From March 12, join us on Monday evenings at 7pm to explore faith, life, and God in a friendly, open, and informal environment. Each evening there is a meal, a short documentary, and an opportunity for discussion. 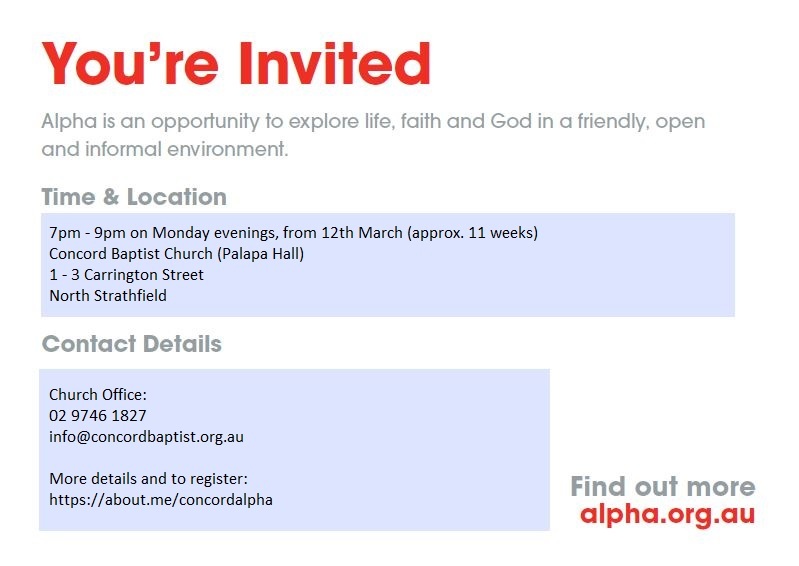 For more information and to rsvp, call the church office or go to https://about.me/concordalpha. Join us this coming Sunday 4th March for a BBQ after morning church. 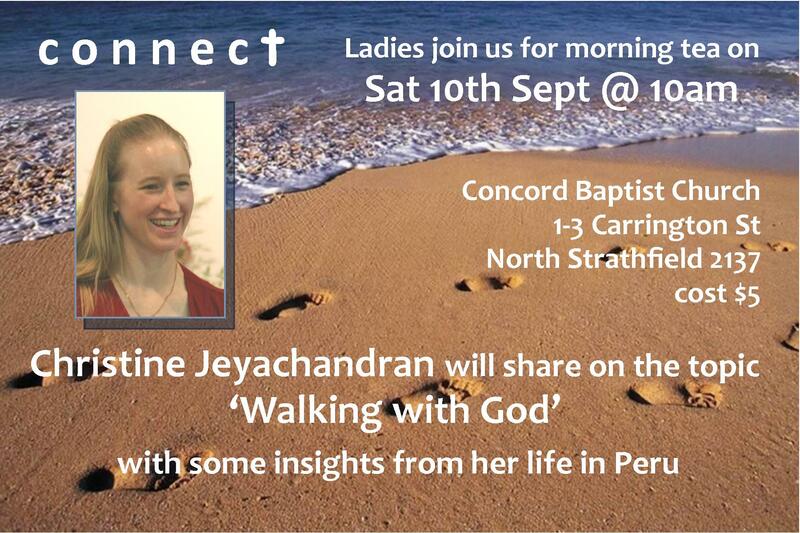 We’d love to have you there. Learn to manage difficult behaviour in children ages 2-12. 123 Magic is open for registrations for March 25, 2017. Visit https://www.trybooking.com/240189 for more information. 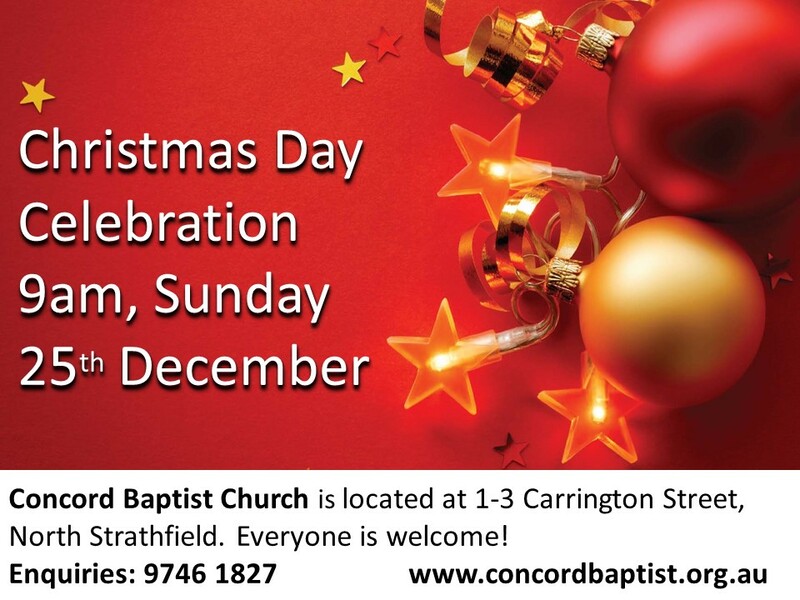 Christmas Day 9AM – All Welcome! Bel a cappella Carols Service this Sunday at 7pm! This weekend we are saying thank you and farewell to our much loved Pastor Warren & Barbara Griffin. 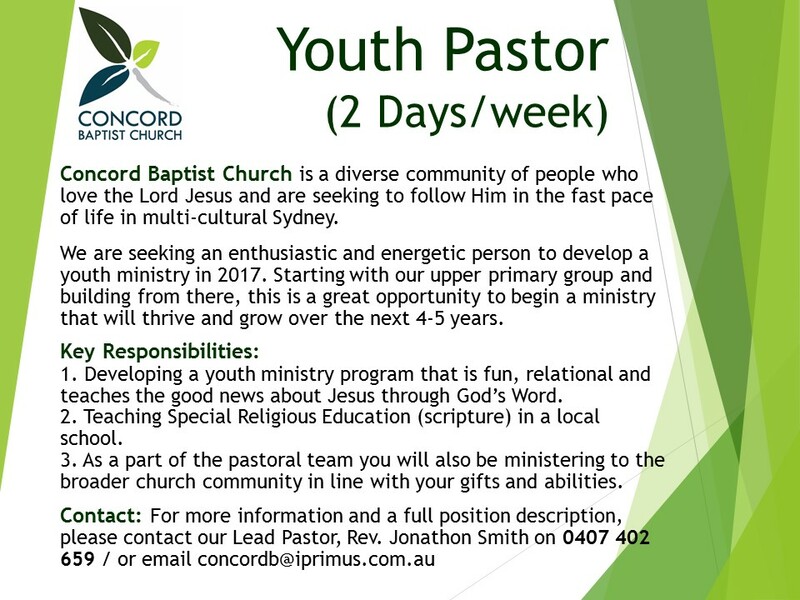 Position Vacant – Could This Be You?